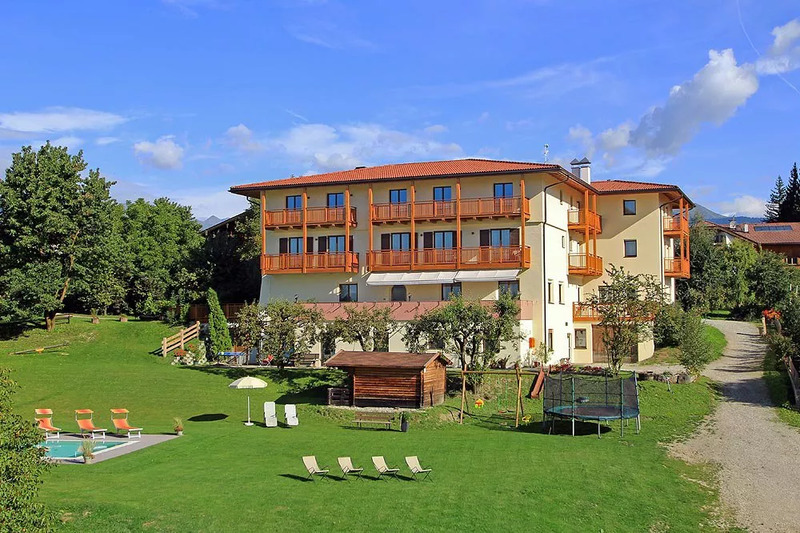 The Pension Auerhof in the idyllic village of Naz awaits guests with a quiet location in the splendid landscape of the picturesque Isarco Valley. The family guesthouse is located in a dead end road, far away from everyday hustle and bustle and traffic noise – It welcomes you with the motto “arrive and relax”. In 2018, we completely renovated our guesthouse; thus, now we offer 25 guest rooms. All the rooms have been fitted with light pinewood and are equipped with shower and toilet – an average of 300 days of sunshine per year guarantees plenty of light in the rooms. All rooms have a balcony, offering magnificent views on the craggy peaks of the surrounding mountains. In our large garden, children will find plenty of space to play; furthermore, there are small playground and a well-equipped playroom for kids. Breakfast and/or dinner are available on request, offering you the opportunity to get to know and love our regional specialties. In the summer, the large garden with swimming pool and sunbathing lawn invites you for relaxing hours in the sun or joyful splashing in cool water. In autumn and winter, the private Finnish sauna and an infrared cabin guarantee plenty of warmth after a long day skiing or hiking. 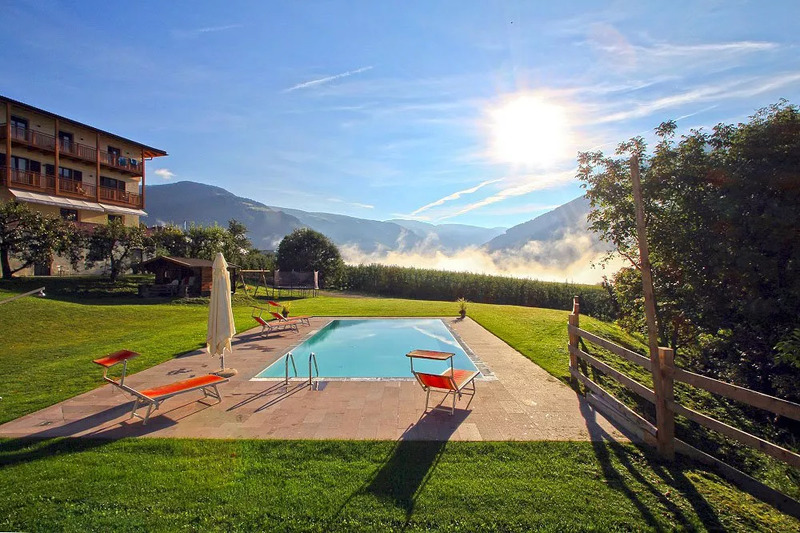 No matter what time of year you visit the Pension Auerhof – the beautiful Isarco Valley always offers you a very special holiday experience. 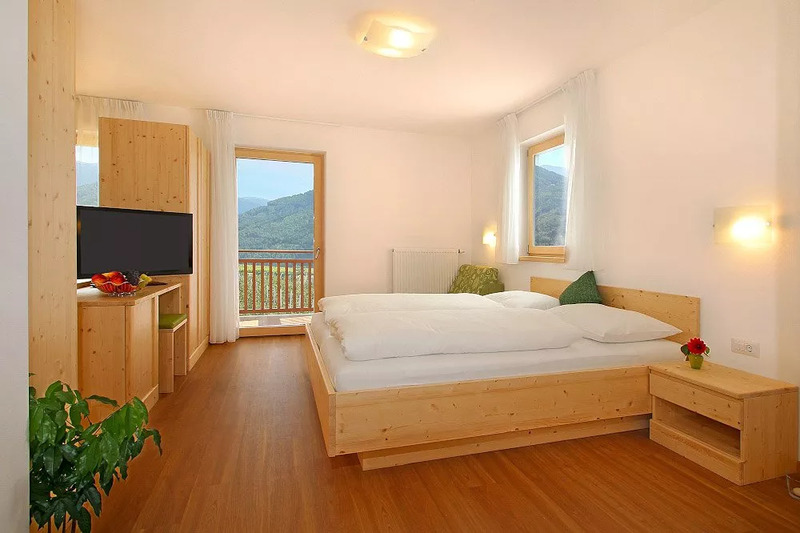 Surrounded by splendid mountains, the Pension Auerhof is the ideal starting point for many excursions. In spring and summer, the idyllic mountain peaks invite hikers and climbers to spend time outside in the open nature. In the autumn, the best chefs in the local taverns during the traditional “Törggelen” serve delicious culinary delights. In the winter, the ski areas Plose, Gitschberg/Val Giovo, Plan de Corones, Val Gardena, Monte Cavallo and Racines offer plenty of ski and snowboard fun with more than 200 km of slopes in the immediate vicinity. 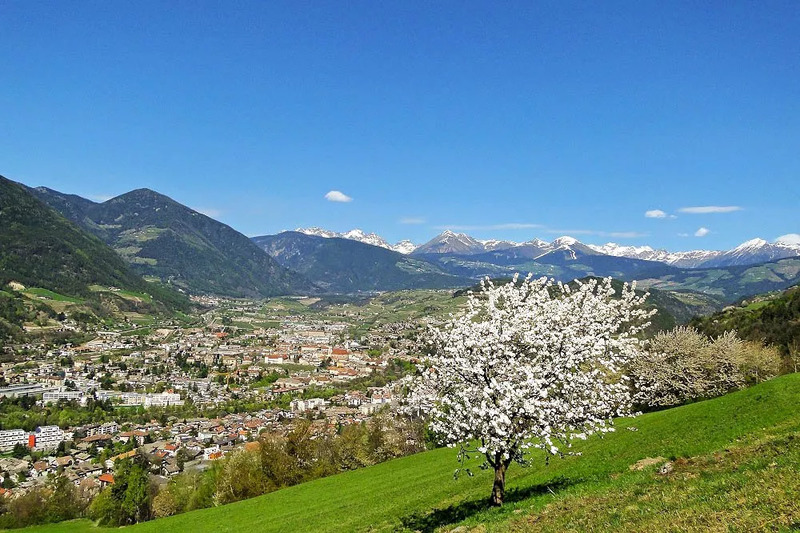 Two other highlights around the year have to do with the countless apple trees that make the Isarco Valley so popular. 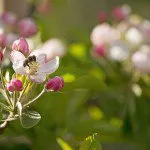 In the spring, thousands of flowering trees are celebrated during the Apple Blossom Festival with regional specialties and colourful parades. 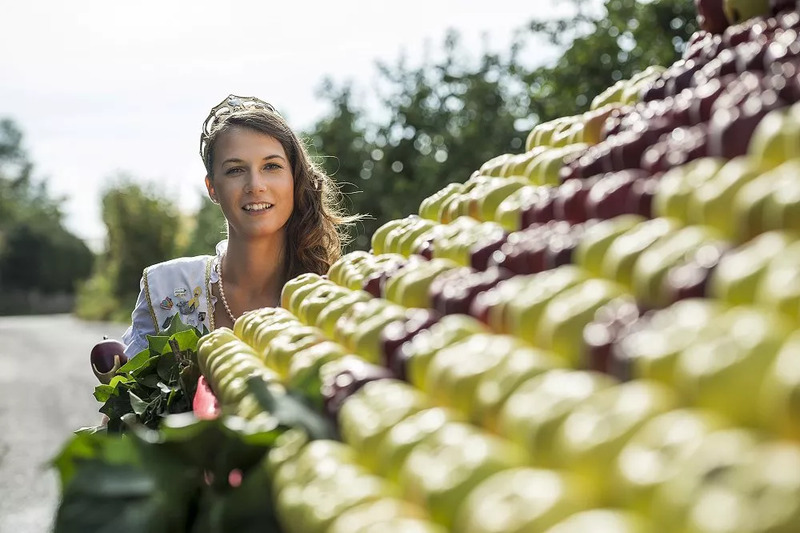 In the autumn, when the largest orchard in Europe is ready for harvest, the sumptuously staged Apple Festival attracts visitors from near and far to Naz. A visit at the Pension Auerhof in this period not only offers a beautiful nature landscape, but also all sorts of culinary delights.